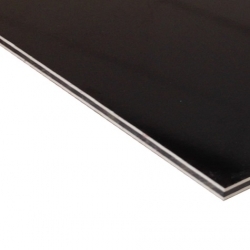 This hard engraving laminate has a Gloss Black Surface/White Core/Gloss Black Base. 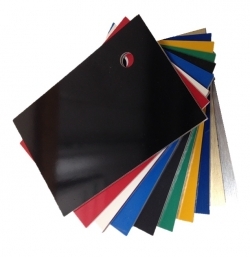 It is a high pressure laminate recommended for internal applications. It is able to withstand high temperatures making it ideal for the Electrical, Leisure and Food Industries. Recommended for use with Rotary engraving machines. Select your sheet size and thickness using the drop-down menu above. This product can be purchased in larger sizes. Contact us for details.